Only 91 contaminants are regulated by the Safe Drinking Water Act, yet more than 60,000 chemicals can be found in our public water supply today. 60% to 70% of all bottled water is exempt from the FDA’s bottled water standards and often presents the same health concerns as unfiltered tap water. Drinking bottled water contributes to the largest pollution issue facing The US. After learning that bottled water is not safe and horrible for our environment many people go back to drinking tap water. Should we drink tap water? Let’s look at just one chemical in tap water, fluoride. You might be surprised to learn that the water you drink and the processed food you eat is linked to Alzheimer’s disease and other brain diseases because of the fluoride that they contain. Fluoride does nothing to improve the safety of drinking water. Fluoride is a chemical added to water as a medication to treat teeth. Any benefit the fluoride provides teeth is only when it is applied topically. Unfortunately as we swallow fluoride in food and water we accumulate fluoride in our tissues. “The general public may not know that fluoride can injure the nervous system and even cause cancer. 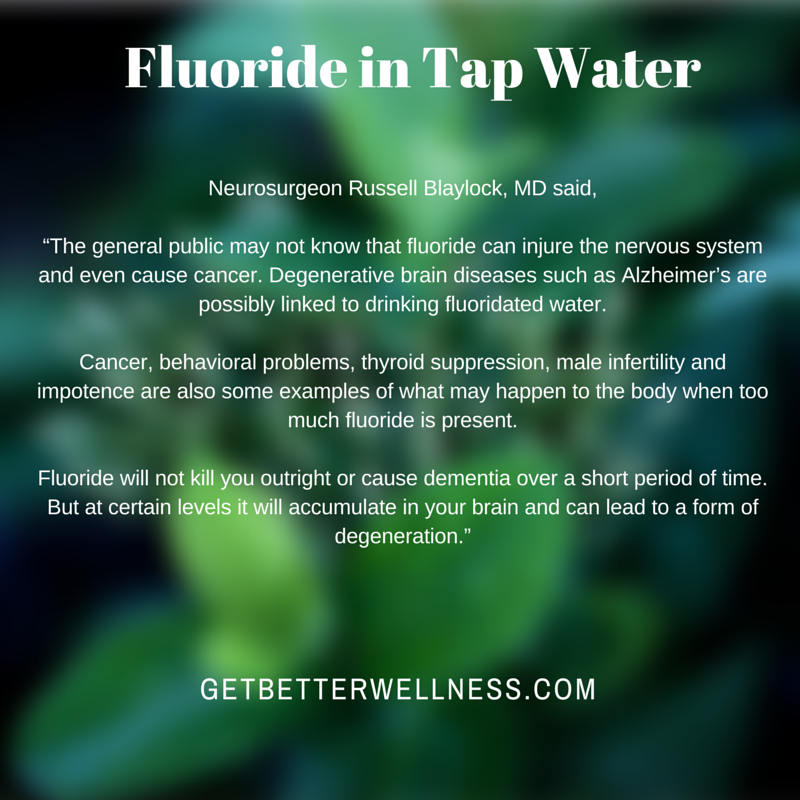 Degenerative brain diseases such as Alzheimer’s are possibly linked to drinking fluoridated water. Cancer, behavioral problems, thyroid suppression, male infertility and impotence are also some examples of what may happen to the body when too much fluoride is present. Where does the fluoride come from that is put in tap water? Fluoride that is put in your tap water is a byproduct of the aluminum and fertilizer industries. These industries produce toxic waste fluoride that is either dumped in acidic wastewater ponds or sold to municipal water treatment facilities. Approximately 200,000 tons of silicofluorides are sold to communities in the United States for water fluoridation. These industries found that disposing of the toxic waste fluoride was very expensive, but they could sell it to communities and make a profit if enough people believed that fluoride was a good thing. 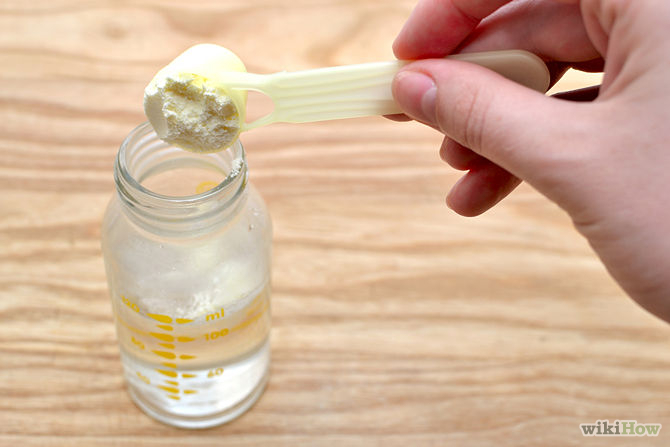 Do you drink or cook with tap water or make formula from boiled tap water? Do you buy bottled juice, processed food, canned food or eat at restaurants? Do you let the dentist give your kids fluoride treatments or buy bottled water with fluoride added? 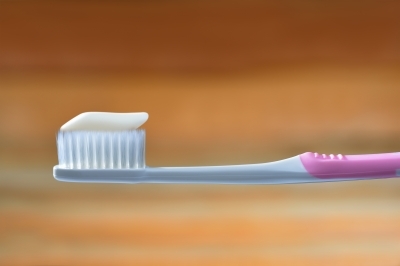 Does your toothpaste and mouthwash have added fluoride? 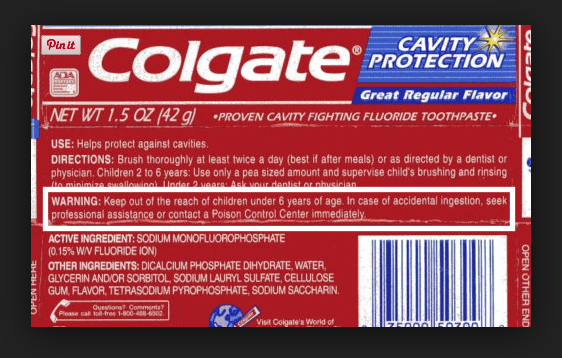 Yes, if your 2 year old eats a tube of flavored Colgate for kids toothpaste the toxic dose of fluoride could kill. You are ingesting large amounts of toxic fluoride and it is accumulating inside of you. I choose fluoride-free and carrageenan-free toothpaste and oral care products. Fluoride accumulates in bones and teeth and can cause skeletal or dental fluorosis. Skeletal fluorosis can cause pain and damage to bones and joints and is often misdiagnosed as arthritis. Sadly, children with fluoride-discolored teeth are more likely to have bone damage later on. How much fluoride are you getting? Half the fluoride that we ingest is deposited in bones and teeth and the other half is excreted. The average American ingests 3 to 6 mg of fluoride a day from water, food, toothpaste, mouthwash, and pesticides. If half stays in the body, over 10 years the fluoride accumulates to over 7,300 mg. This is the level where skeletal fluorosis can happen. Most water in America is fluoridated while only 5.7% of people worldwide use fluoridated water. The CDC likes to believe that water fluoridation is one of the top 10 public health achievements of the 20th century and will say that dental caries declined during the second half of the 20th century because of fluoridation. The CDC will not tell you that western countries which do not fluoridate water saw similar declines in tooth decay. Perhaps the American Dental Association has decided to dig in their heels and turn their back on credible studies because admitting that fluoridation is useless in preventing dental disease and is harmful to health would bring an avalanche of legal backlash that would wipe out the financial resources of this organization and its members. Tap water that you filter at home is the safest, most economical and environmentally friendly water to drink. Recently we installed a whole house water filter system. Many people filter their kitchen drinking water but forget about the showers and bath tub. If a whole house system is not an option for you consider shower filters. 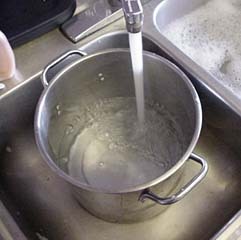 Contaminants in tap water can cause people harm through bathing. Tap water is full of harmful chemicals like chlorine which can combine with organic materials to form trihalomethanes, known carcinogens. Drinking tap water or showering in tap water will allow trihalomethanes to enter the human body. In a hot shower, the substance evaporates out of the water and is inhaled. During a ten minute hot shower we can absorb more contaminants into our bodies than drinking half a gallon of chlorinated tap water. A good shower filter will remove more than 90% of the chlorine from shower water. Shower filters help promote both immediate and long-lasting beauty benefits like softer skin and healthier hair. I have researched water and shower filters and found a manufacturer that provides many affordable options. 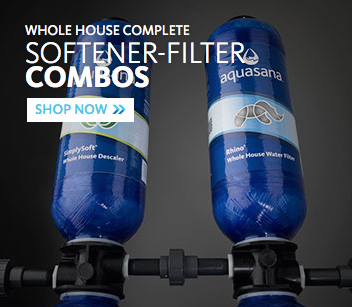 Aquasana filters are tested to leave in the healthy minerals that your body needs, like calcium and magnesium, while removing harmful chemicals and contaminants. It only costs 10 cents a gallon, and there’s no bottled water waste. We would not purposely add arsenic to the water supply. And we would not purposely add lead. But we do add fluoride. The fact is that fluoride is more toxic than lead and just slightly less toxic than arsenic.